Well testing takes on three forms. Ketek can provide you with options for all three. For a variety of reasons, clients often need to sample groundwater. Proper practice is to pump out at least three times the volume of water in the well before taking a sample to ensure an accurate, representative sample and not get any contaminants from stagnation. Wells are installed for a variety of reasons, many of which require that the flow characteristics of the aquifer are understood. Obtaining accurate data is paramount for hydrogeologists to establish these characteristics. Reliability of the equipment is a fundamental requirement and also a key strength of Ketek. Wells are sometimes installed to be used for fluid disposal. To test the effectiveness of the well for this purpose, pumping must be done at elevated pressures with appropriate monitoring. It is vital that the field crew have a thorough knowledge of the equipment and the process to conduct the test properly. 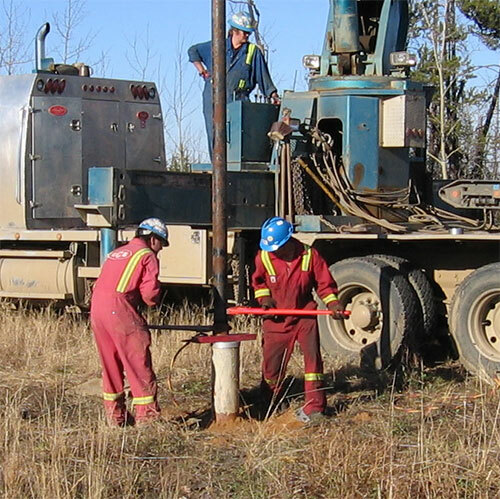 The consistent and reliable operation of a groundwater well observation network is vital and often a requirement of regulators and facility operators. These wells are likely installed for the purpose of aquifer depressurization, tailings seepage capture or general environmental monitoring. 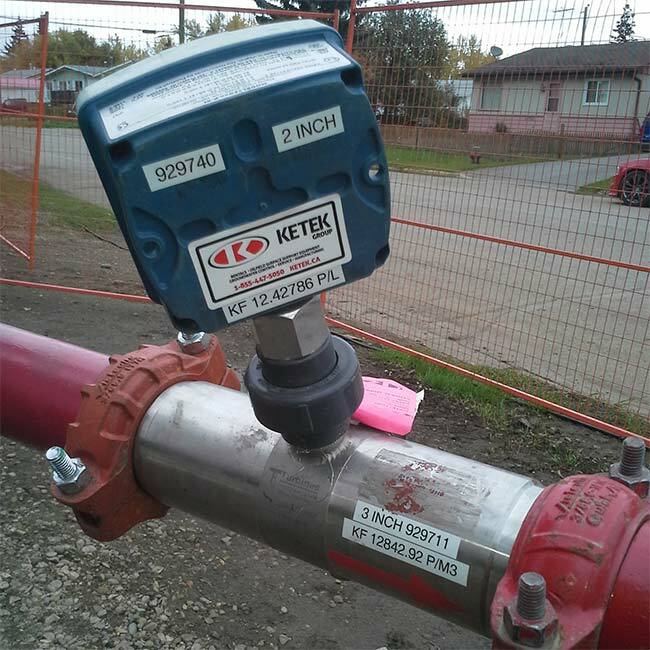 Through appropriate monitoring, the Ketek team can extend the life of your well systems and your equipment. Attention to the equipment minimizes failures and, in the event of a failure, decreases the turnaround time for repair. Some facilities are many years old and the well network associated with it is just as old. It is significantly less costly to revitalize a well than to abandon and drill a replacement. This is not an exact process as each well has unique and often unknown issues. Ketek has built custom tooling and applied innovative techniques to clean wells with a high rate of success. Items dropped into the well. This is often a complex problem as the item may have damaged the screen as it fell. Wells that are central to operations or have a longer required usage cycle are more appropriately integrated into the facilities grid, rather than having continuous human monitoring. Costs of ongoing well operation can be significantly reduced by introducing permanent power and electronic monitoring devices, primarily due to fuel savings and reduced manpower requirements. 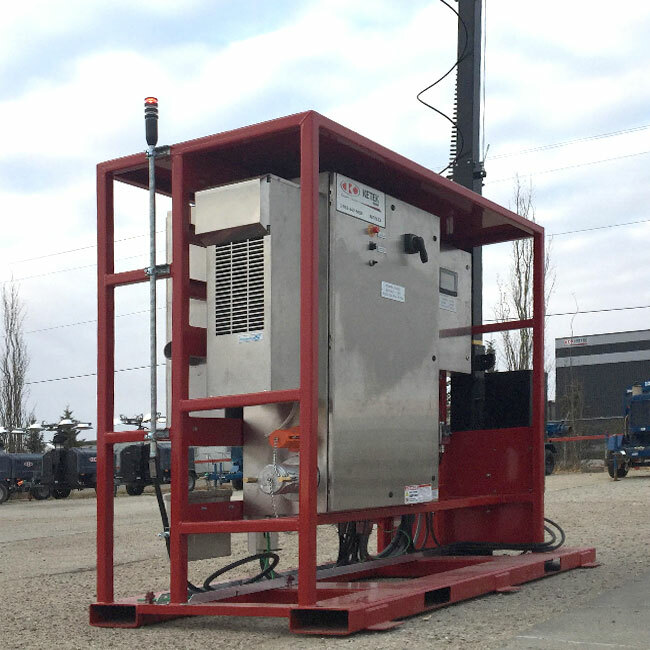 Ketek’s combined strengths in technical and engineering capability, manufacturing capacity, and hands-on field knowledge allow us to design, build, install, and maintain a well tailored to your specifications, and an Intelligent Pump Control System to go along with it. Connect groundwater pumped to a permanent or semi-permanent surface or subsurface flow network.